In the San Luis Valley nature is now putting on one of its most memorable annual displays: the spring migration of greater sandhill cranes. In appreciation of this wildlife spectacle, area organizations, businesses and wildlife agencies are holding the 30th Annual Monte Vista Crane Festival, March 8-10. The cranes start arriving in mid-February, flying from their winter nesting ground in Socorro, New Mexico. Large wetland areas and grain fields in the San Luis Valley draw in about 25,000 birds every year. The cranes stop in the valley to rest-up and fuel-up for their trip north to their summer nesting and breeding grounds in northern Idaho, western Wyoming and northwest Colorado. Cranes are among the oldest living species on the planet: Fossil records for cranes date back 9 million years. The birds that migrate through Colorado are the largest of the North American sandhill subspecies standing 4-feet tall, having a wing-span of up to 7 feet and weighing in at 11 pounds. Besides their imposing size, the birds issue a continuous, distinctive and haunting call. At this time of year cranes are engaged in their mating ritual and the birds perform an elegant hopping dance as they attempt to gain the attention of other birds. The birds are abundant in areas near the town of Monte Vista and are easy to spot. Wildlife watchers can see the birds most readily in the Monte Vista National Wildlife Refuge and in the Rio Grande, Higel and Russell Lakes state wildlife areas. During the three days of the festival, free tours are offered at 7 a.m. and 4 p.m. when the birds are most active. Visitors take buses to various spots on the wildlife refuge, and U.S. Fish and Wildlife Service staffers talk about the migration and the refuge. The number of cranes in the valley peaks in mid-March and many linger through the month. So, even if you can’t go the weekend of the festival there’s still plenty of time to see the birds. Birdwatchers who travel on their own should be cautious when parking, getting out of vehicles and walking along roads. People are also asked to view birds from a distance with binoculars and spotting scopes, and to observe trail signs and closure notices. Many other bird species – including eagles, turkeys and a variety of waterfowl – can also be seen in the area. The festival headquarters and starting point for the tours is the Ski Hi Park building located near U.S. Highway 160 on Sherman Avenue on the east side of Monte Vista. Visitors can pick up maps, schedules and information at the headquarters. Besides the tours, a variety of workshops are put on by bird, wildlife and photography experts. An arts and crafts fair continues through the weekend at the headquarters building. The crane festival is organized by the local crane festival committee, with help from the Colorado Parks and Wildlife, the U.S. Fish and Wildlife Service, Rio Grande County, SLV Ski Hi Stampede, Monte Vista school district, and the city of Monte Vista. Approximate distances to Monte Vista: Denver, 220 miles; Colorado Springs, 182 miles; Salida, 85 miles; Vail, 175 miles; Durango, 135 miles; Grand Junction, 230 miles. 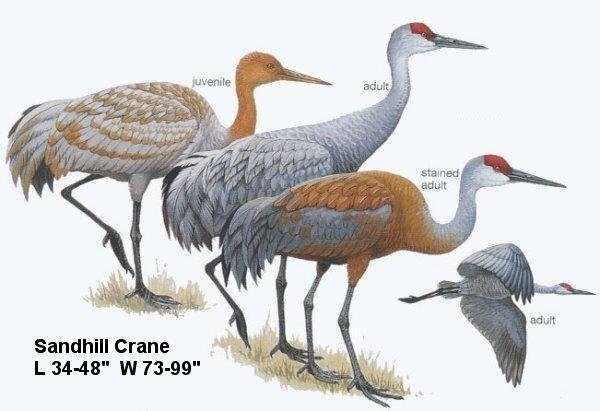 For more information on the Monte Vista Crane Festival, see: http://www.cranefest.com. For more information on State Wildlife Areas in the San Luis Valley, go to: http://wildlife.state.co.us/LandWater/StateWildlifeAreas/Pages/swa.aspx. More Rio Grande River Basin coverage here. Reblogged this on The Fish and Wildlife Report.